On Monday we took Daniela from Texas, USA to do her first surfing lesson at Muizenberg. The sun wasn’t shining much but the surf was perfect for that first ever surfing experience. After some surf instruction on the beach learning the basic essentials of surfing she hit the waves with loads of enthusiasm. 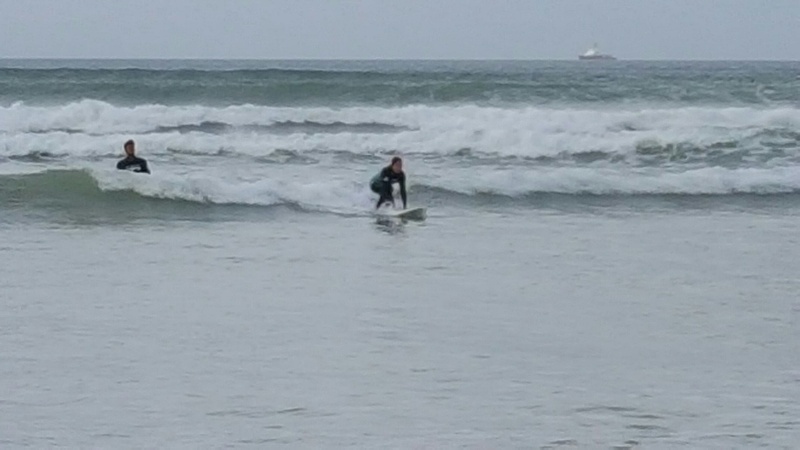 After a few attempts including some wipe outs, that come standard with surfing, she managed to stand up and ride out a wave. Standing up on your first wave is like taking your first ever step as a baby. 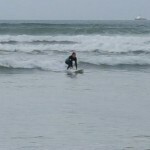 Daniela was hooked from then on and after a fantastic surfing experience hit the hot showers to warm up. Well done!